Does your vet offer laser surgery?? Pet Emergency? Call us right away at (712) 653-2607! 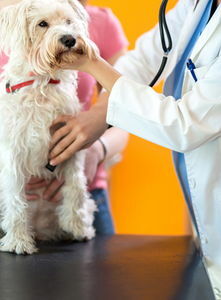 If you live in Manning or the surrounding area and need a trusted veterinarian to care for your pets – look no further. Dr. Rexanne Struve and Dr. Gary Riordan are licensed IA veterinarians, treating all types of pets. Your pets’ health and wellbeing are very important to us, and we take every possible measure to give your animals the care they deserve. Veterinary Associates of Manning is a full-service animal hospital and welcomes both emergency treatment cases as well as pet patients in need of routine medical, surgical, and dental care. Dr. Rexanne Struve and Dr. Gary Riordan both have years of experience treating serious conditions and offering regular pet wellness care. Beyond first-rate pet care, we make our clinic comfortable, kid-friendly, and calm, so your pet can relax in the waiting room and look forward to meeting our Manning veterinarian. We are happy to offer a number of resources that enable you to learn about how to take better care of your pets. Please feel free to browse our site, particularly the informational articles. The best veterinary care for animals is ongoing nutrition and problem prevention, so becoming knowledgeable about preventative pet care is essential to the ongoing success of your animal’s health. If you have any questions, call (712) 653-2607 or email us and we'll promptly get back to you. Our Manning veterinarian office is very easy to get to -- just check out the map below! We also welcome you to subscribe to our newsletter, which is created especially for Manning pet owners. At Veterinary Associates of Manning, we treat your pets like the valued family members they are. "Excellent service with a smile. The staff knows your pets name and cares about their well being. When my dog had serious stomach problems, Dr Rex did a great job taking care of her and fixing the problem." "Wonderful place to leave your dogs. You could tell they enjoyed their stay and looked fantastic when we picked them up. They care for your dogs like they were their own. Staff is fantastic too so personal and caring." "Love Dr Rex and her staff. Sincere concern for my pet turtle. Had it not been for the knowledgeable care, and detailed assistance from the staff of Veterinary Associates of Manning, Monkey would have died. Dr Rex and staff went far above and beyond in all areas of care. Labs, medication calculations, emergency overnight observation, thorough and easy to understand post visit instructions, and many other accommodations. My red earred slider may just be an aquatic turtle, however, these wonderful people understand that even a turtle can be a valued and cherished part of the family. I highly recommend choosing Veterinary Associates of Manning for knowledgeable and supportive care of any animal." "Having just moved to Manning, it was so great to know our dog was in such good hands. Lovely and competent service in a wonderful town!" ". They sincerely care about animals and will do everything in their power to help. They care for the animals, but they also care for their owners by showing that they know how important our pets are to us. I could give many more examples, but it would turn in to a book! There are 4 veterinary clinics that are much closer to our home, but I will always drive over an hour to get to Veterinary Associates because their care is second to none." "We love bringing our bearded dragon Charlie down to see Dr. Rexanne! She is always so kind and caring and if she doesn’t know the answer to a question right away she will do her research and get us the right answer! On top of having amazing staff the Veterinary Associates of Manning is very reasonable with their prices! We would definitely recommend them to anyone especially exotics!!" "Love this clinic and Dr. Struve. We always get the best care for our furry family member!!!" "Our pets Jinx and Grady always get the best care when we bring then!!" "I really appreciate everything you all have done and continue to do for our dog!" "Axe gets great care when he comes in! Such great staff that really care for the pets! Thank you guys for all your great work!" "I have nothing but good things to say about this vet clinic! My family has taken our pets there for many years and have always been impressed with the care provided. They supported us through the process of putting down a beloved pet and even sent a sympathy card signed by all the staff members shortly after. They handled the whole ordeal very professionally." "Rex, you and your whole staff have given our furbabies, Baby Girl and Princess Jade, excellent care. I would highly recommend you to others!" "I love how kind and personable the entire staff is concerning my furbabies� I can’t tell you how much this means to us!! You guys are the BEST! !I"
"The only place my mom and us will take our furbabies! Thank you from Lexi and Charlie!" "Brought our dog in for an emergency C-section and they did amazing with her and the puppies! Staff is always super nice and willing to answer any questions!" "They are so patient with my super crabby dog! Always pleasant and helpful!" "My husband knows Rexanne, and I've been taking out pets there since we married (roughly 6 years) her staff was really great when our dogs were injured, and saw us through the deaths of two dogs. Our current dog is 2.5 years and really enjoys going to the vet."